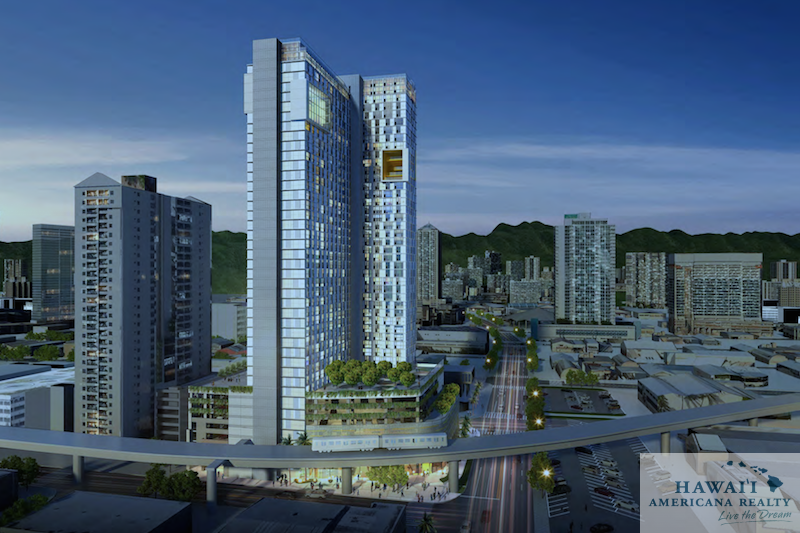 Today Howard Hughes Corp announced our revised plans for the 988 Halekauwila project that, if approved by the Hawai‘i Community Development Authority (HCDA), would provide more affordable rentals to residents in urban Honolulu. The Howard Hughes Corporation submitted a motion to the HCDA for the option to allow the previously approved for-sale residences at 988 Halekauwila to be built as workforce rentals. 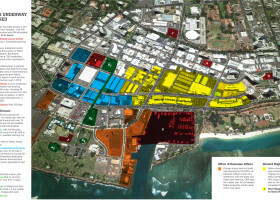 If approved, Ward Village will be able to offer homes to a significant number of local families and individuals earning 80 to 100 percent of the area median income (AMI). The building would be Honolulu’s largest affordable rental development in decades. The 988 Halekauwila project is currently approved as for-sale and would be reserved for residents making 100 to 140 percent of the AMI. Rental units, which are available to those with lower average median incomes making 80 to 100 percent of the AMI, help meet the community’s need for long-term affordable housing. For a single person, 80 to 100 percent of AMI equates to an annual salary of $53,700 to $57,820. This offers greater affordability than the for-sale option for individuals making up to 140 percent of AMI, which equates to an annual salary of $80,948. The change to offer units as rental will not change the number of reserved housing units – 375 – offered by the project. It will also extend the period of affordability required for the units from two to five years (for-sale) to 15 years (for-rental). Ward Village’s 988 Halekauwila project exceeds the number of units required by the HCDA for Phase One of the Ward Village Master Plan by three times the amount. Located on the mauka-ewa corner of Ward Avenue and Halekauwila Street, 988 Halekauwila is an integral component of the Ward Village Master Plan and will feature one-, two- and three-bedroom workforce housing residences within walking distance of shopping, entertainment, parks, beaches and the revitalized Kewalo Harbor. 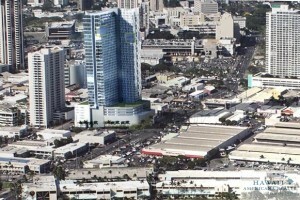 The building will target LEED certification as part of Ward Village, which is certified as the state’s only LEED for Neighborhood Development (LEED-ND) Platinum-Certified community. This rendering shows The Howard Hughes Corp.’s planned rental project at 988 Halekauwila, part of the developer’s 60-acre Ward Village master-planned community. The Howard Hughes Corp. has officially requested the ability to proceed with its previously approved residential project at 988 Halekauwila across from Sports Authority in Honolulu as a rental development, a senior vice president for the Texas-based developer confirmed to PBN. For a single person, the Honolulu area median income at 80 percent is $46,256, while it’s $57,820 at 100 percent and $80,948 at 140 percent, according to the United States Department of Housing and Urban Development. Vanderboom said that if this change happens, it will in no way impact the number of reserved housing units — 375 — provided at 988 Halekauwila, which represents three time the number of units required for phase one of Ward Village. 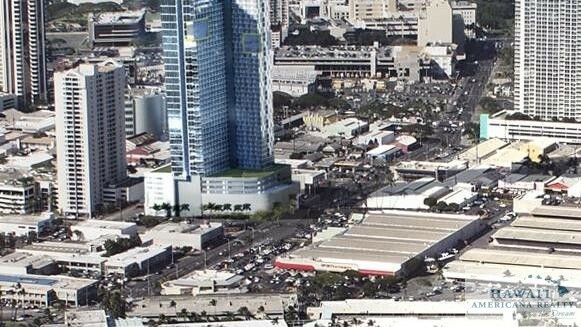 The Hawaii Community Development Authority, the state agency overseeing the redevelopment of Kakaako, has not set a meeting date on the project, a spokeswoman for The Howard Hughes Corp. told PBN. 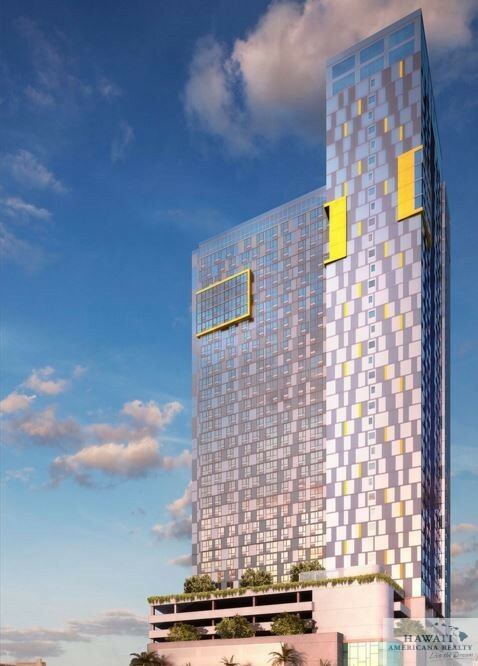 The project, which will be located on what is the former site of the Kanpai Bar & Grill and the current California Rock ‘N Sushi, is part of the developer’s first phase of its 60-acre Ward Village master plan.